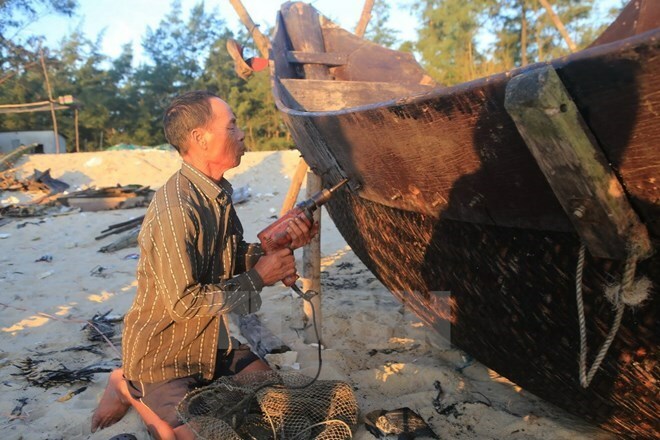 Hanoi (VNA) – Support for people affected by the marine environment incident in the central provinces of Ha Tinh, Quang Binh, Quang Tri and Thua Thien-Hue in early 2016 will be expanded under a recent decision by Prime Minister Nguyen Xuan Phuc. Decision 2124/QD-TTg amends and supplements some contents of the PM’s Decision 12/QD-TTg, issued on January 6, 2017, which approved the plan assessing damage to compensate, support, recover production and ensure social welfare for affected residents in the four localities. It stipulates that support for the targeted group to buy health insurance will last for a maximum of 24 months as calculated from the date of insurance purchase, but not later than December 31, 2019. Earlier, the aid provision is stipulated to be in two years at maximum, from January 1, 2017 to December 2018. Persons enrolling on vocational or junior college courses will have all of their tuition fees covered by the State in academic years from 2015-2016 to 2020-2021. Meanwhile, affected people will also be assisted to seek jobs and work abroad. The maximum aid duration is 24 months with December 31, 2019 the latest date for aid. The term of loans with preferential interest rates for production recovery and job change will be extended through December 31, 2019, instead of December 31, 2017 as regulated in the previous decision. The new decision also added regulations on projects to build and upgrade fishery logistics service establishments in the four provinces to help ensure long-term livelihoods for local fishermen. The mass fish deaths were first reported in Ha Tinh province on April 6, 2016 when a large number of fish washed ashore. The incident also occurred in Quang Binh, Quang Tri and Thua Thien-Hue. Wastewater discharged from Taiwan-invested Hung Nghiep Formosa Ha Tinh Steel Limited Company polluted more than 200 kilometres of coastline, devastating the marine environment and local economies of the provinces, which largely rely on fishing and tourism.